It can be really wonderful, when we have the chance, to review a book by someone we know and care about, because we want to share what we love with the world. It’s even better when we know the author of said book because we read the book, love it, reach out, and the author (until then a stranger) reaches back. It’s a good sign when you meet someone for the first time and you’re dressed in identical outfits. I guess Erin Lindsay McCabe and I were both more than a little excited the northern California heat had broken and jeans were finally not too hot and sticky to wear out for coffee. Our denim paired with cream-colored lace shirts and sandals, we giggled as we looked at each other in person for the first time. This synchronicity started off what would prove to be a delightful Sunday morning chatting about parenting, teaching, writing, and her latest book, I Shall Be Near To You, as we sipped organic coffee (me) and spicy chai (her) and nibbled on freshly made pumpkin muffins and bear claws. I found Erin to be as real as her Civil War character Rosetta as mom to mom, teacher to teacher, writer to writer, we filled three hours in a little bakery/coffee shop in northern California, the start of what I know will be a new friendship – mom to mom, teacher to teacher, writer to writer. mamawolfeto2: @ErinLindsMcCabe oh yes. He surprised me with his sweetness. So on that somewhat smoky Sunday morning, inside a brightly lit café near the Sierra foothills, we picked up where we left off, and found threads of motherhood, teaching, and writing peppering our three hour conversation. I love meeting teachers, especially English teachers. They just GET my life. They understand what it’s like to balance motherhood and work, they understand how emotionally and physically draining it is to teach all day and then come home with stacks of papers to grade. Erin GETS it – she spent years working as a high school English teacher in the Bay Area, and then again as a community college writing professor. She understands the challenge of attempting to squeeze out an ounce of creativity before daybreak, or most often for her, late into the night. I had to laugh when she mentioned her good fortune that her three-year-old was a night owl — I actually craved those moments when my own two babies were tucked into bed at night and I could choose between grading and writing! Our conversations circled around how to teach controversial novels, what was just the right amount of feedback to give students, and how we wished our kids would dig deeper into their writing and not give up with a first draft. Her inclusion of ‘hot topics’ in I Shall Be Near To You, such as homosexuality, war, young love, and even profanity have caused some controversy for a few of her readers, but for me, her choices not only provided a realistic story line and characterizations, but also shrunk the time between the Civil War and what humanity is still dealing with today. I loved making the teacher-writer connection, and her eagerness to jump right back into teacher-mode was evident when we started to chat about writing – our writing. Erin knew how much I adored I Shall Be Near To You before I met her, and after listening to our conversation swirl in and out of motherhood and teaching, I realized how closely woven her life was with the book and characters; it actually made me love it more! 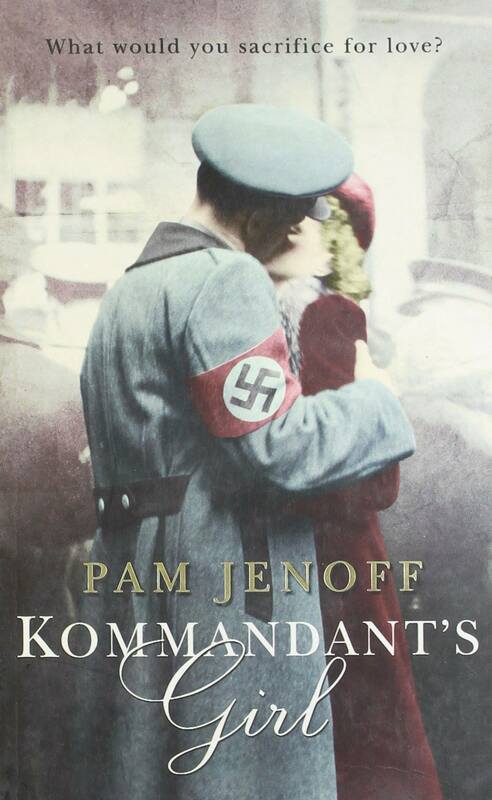 As a lover of historical fiction, I couldn’t wait to ask her how she approached the idea of historical accuracy – something I know requires not only tremendous research, but also carries with it tremendous risk that historians will dismiss her story as too fictionalized. Turns out, the idea that the story of her real-life main character, Rosetta, would be lost due to errors in historical accuracy was foremost on her mind during the writing and editing process. Erin’s choices to depict battle scenes as accurately as possible not only added depth and grittiness to the finished novel, but also were the hardest to write: after writing each battle scene she described herself as being in a ‘dark place’. She found herself attempting to balance just the right amount of detail for authenticity with the numbness that would come with an overabundance of the gore that Civil War soldiers experienced. Interestingly, she intentionally chose not to directly include slavery in the novel, feeling that after ten years of reading and researching the ‘real’ Rosetta’s letters written during the Civil War, it wasn’t part of what she recorded and therefore not authentic to the character’s story. 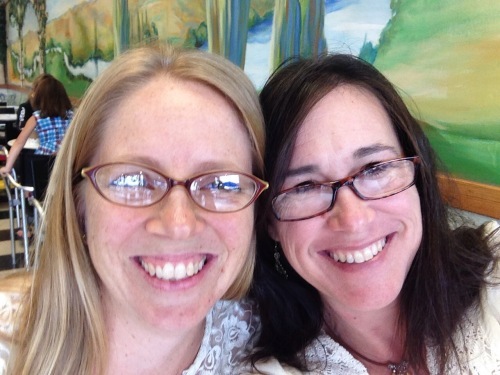 Our coffee drained, pastries long gone, and families wondering if we’d ever come home, Erin and I ended our mom-teacher-writer conversation with hugs and expectations: new writing, new conversations, new friendship. What a lovely morning, what a lovely writer. 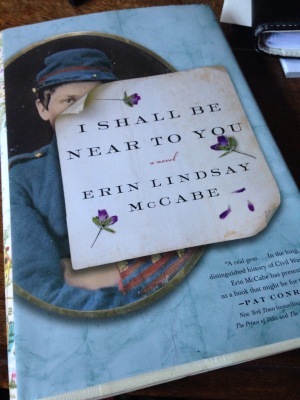 You absolutely don’t want to miss I Shall Be Near To You, Erin Lindsay McCabe’s ‘extraordinary novel about a strong-willed woman who disguises herself as a man in order to fight beside her husband in the Union Army, inspired by the letters of a remarkable female soldier who fought in the Civil War.’ Now out in paperback! Jennifer Wolfe is a mom and middle school teacher who loves nothing more than watching kids be brave, courageous and navigate the world. A huge believer in love, health, and hope with a colossal amount of emotionally-charged inquisitiveness – throwbacks to her youth spent watching and listening to every 80s punk band imaginable – Jennifer attempts to simultaneously slow down and speed up time by trusting fate and the global community to teach us life’s lessons. Jennifer reflects on life’s lessons on her blog, mamawolfe, as well as on Twitter, Facebook, Instagram, and Goodreads.